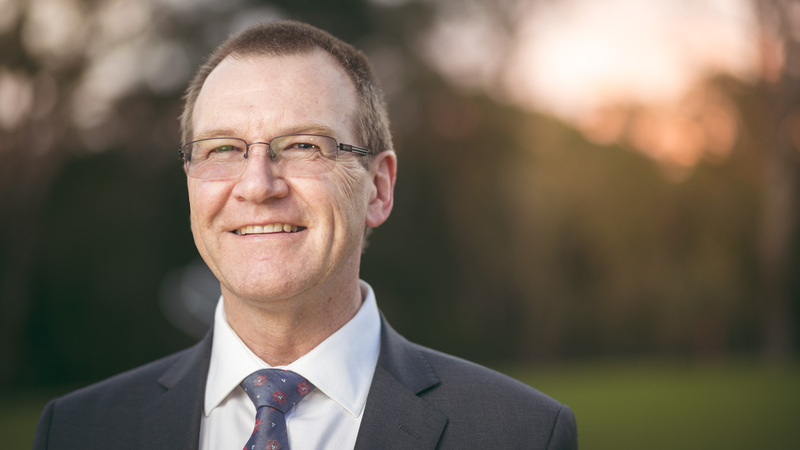 We will officially open our new buildings and facilities on Monday at 9.30am in the School Hall located in the Senior School campus Bishop Peter will speak about the role of our school within the Anglican Church’s mission and our School Council Chair, Bishop Charlie, will do the unveiling. We have student musical performances lined up and I will speak about the great learning that will take place. Parents and family are invited to join us for this celebration. Also on Monday, at 6.30pm in the hall, we will hold our information night for our 2020 Year 7 students. We will have student demonstrations of their learning and you will be able to speak with the students about what they have been learning. I and some other senior staff will also give presentations about various aspects of Year 7 and the Senior School along with some other Senior School staff Please try to make it if you have a child in Year 6. This will be held next Tuesday at 6.30pm in the Junior School library and will be followed by our regular monthly general meeting. I have called for nominations for Executive roles as all positions become vacant on the night and we elect new (or the same) people to those roles. This also begins on Monday. The students will have 3 days of challenge and fun at the Point Wolstoncroft Sport and Recreation Centre. The Junior library is back! A big thank you to our Assistant Librarian, Lou Tennant, for the huge amount of work she did to get the library back in shape after our flooding incident. The library is now back in action! This will be held on Sunday, 17 March at the Lakes Anglican Church in Kanwal. We ask our families in Years 7-10 to join the congregation for the 9.30am service. As this is St. Patrick’s Day we thought we would change the usual dress code for this day (from full school uniform) – come along dressed in GREEN (students, siblings and parents are encouraged to participate). Parent / Teacher interviews will be held on Tuesday 19 and Monday 25 March for Kindergarten to Year 11. Interviews will go live through Parent Lounge on Monday, 11 March at 9.00am and will close on Sunday, 18 March at 5.00pm. Bookings will reopen on Wednesday 20 March for any available interviews on the last evening Monday 25 March. Council rangers and police have been at school enforcing the road rules over the last week. In previous information sent home I reminded you about the rules relating to parking outside the fence. In summary – it is illegal to park anywhere on the grass outside the Junior School. If you are parking in the small road off our driveway, you must parallel park facing the direction of travel, ie on the left, whichever way you are facing. It is also illegal to enter the Junior School from external roads between 2:30pm and 4:00pm. You must enter at the Senior School and drive down our internal road. The school has nothing to do with the policing of these rules but I have tried to warn you that you could be fined if you disregard the rules. 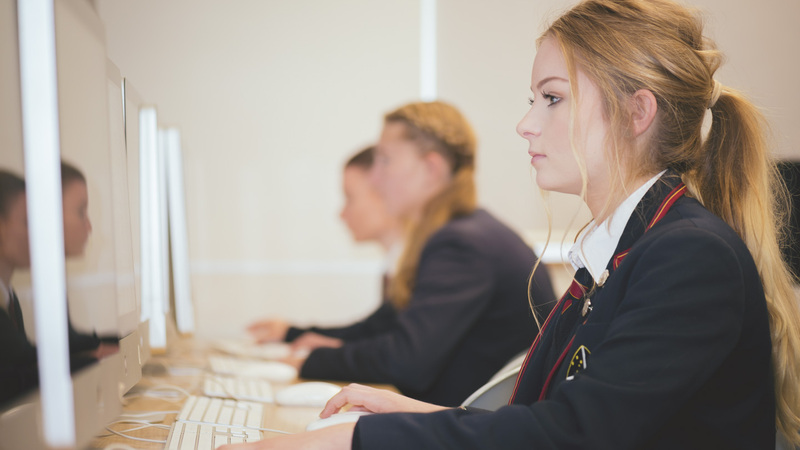 Our Year 7 2020 Parent Information Night will include a tour of the senior campus including our new Senior STEM Centre, Drama Studio and Design & Technology workshop. This is open to all our Year 6 parents and students as well as prospective families. 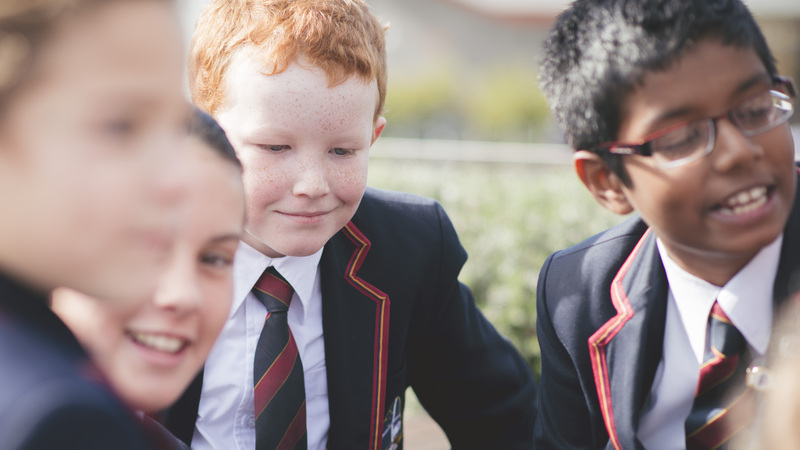 If you have a child in another school, who you wish to enrol in Year 7 at Lakes Grammar, please submit an application form if you have not yet done so. To register to attend please enrolments@lakes.nsw.edu.au or call 4393 4111. 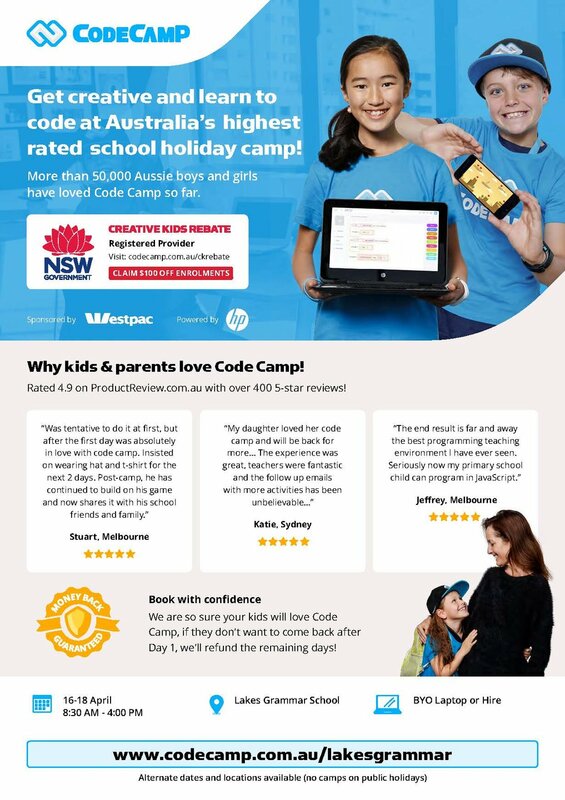 Bookings can be made online via Parent Lounge. 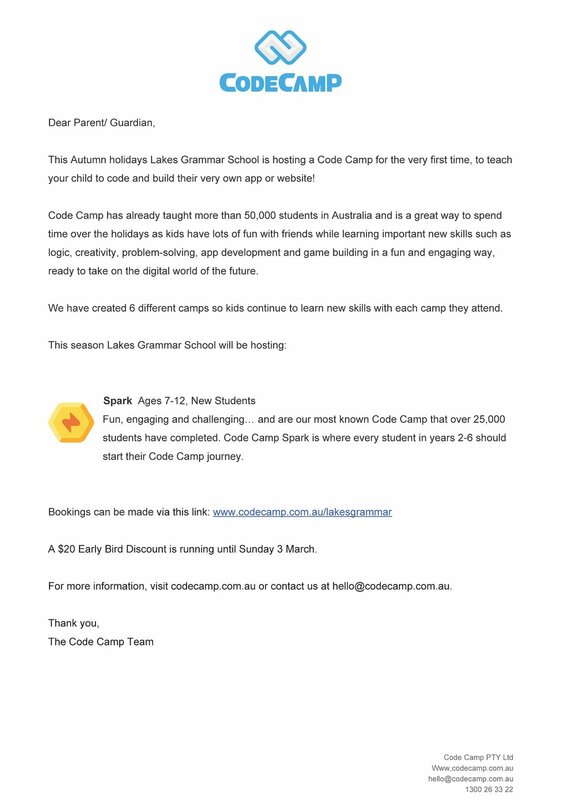 Parent bookings open Monday,11 March and 9:00am. Our very popular Easter Raffle will be held again this year. Raffle tickets will be sent home next week. The P&F appreciate your support selling these to friends and family. Donations for the Easter prizes would also be appreciated by Friday, 5 April. The prizes will be drawn on Tuesday, 9 April. We appreciate all your efforts in raising money for our school community. 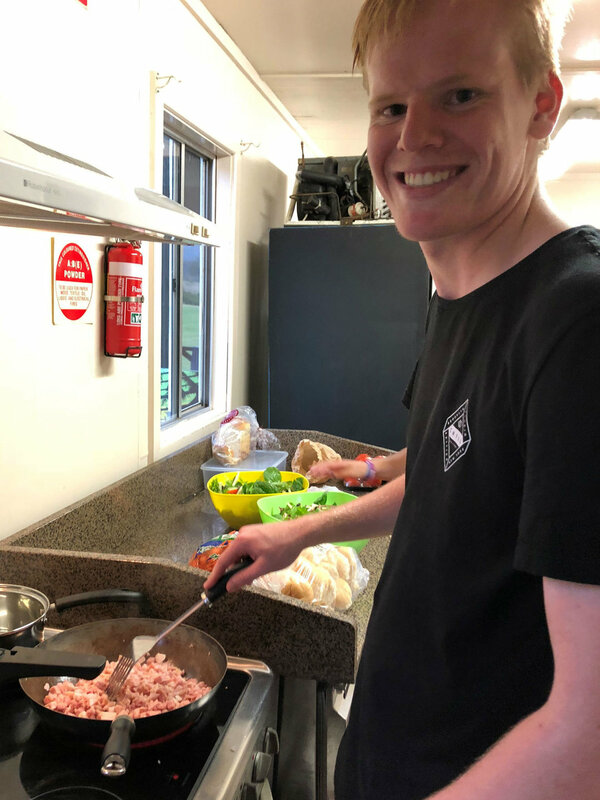 Last time I was pre-empting the Year 12 Retreat and I am pleased to let you know what a fabulous time we had. It was really fantastic to watch students from different groups getting alongside others who they didn’t normally talk to and share space together. There were key learning moments, quiet reflective times and more floatation devices in the Karuah River than I have ever seen before. I was also honoured to have some conversations with students at a deeper level than is always possible at school. What a wonderful cohort to take away! Special thanks to Mrs MacLarty who has now been leading on seven retreats with me and this time wore 3 hats; Year Adviser, Head of Student Wellbeing and Masterchef. Thanks goes to Mrs Stibbard and Mr Beecroft who returned as staff on retreat making everything go smoothly and to our fantastic presenters Mr Hannah, Mr Samways and Amanda Wishart. One of my reflections from this year’s retreat is, that this being our 7th Year 12 Retreat, the team of staff had all been involved before. Mrs MacLarty has worked with me on all the retreats to co-ordinate our menu and meals and subsequently Year 12 ate as well as you possibly can. Mr Beecroft was actually on our first ever retreat and Mrs Stibbard returning from a few years previous came in just knowing the feel and vibe as well as those little things that make a great camp even better. I knew at all times that our team were all on the same page and it is the most relaxed I have been whilst on a school camp. It is a huge privilege for me to work alongside such brilliant staff as we have at Lakes Grammar. Their care for our students is profound. Our hope is that as our students progress through the school from Kindergarten to Year 12 that they may sense this care in a deep, rich and affirming way. To have the knowledge that you are cared for has a way of lifting our students to see beyond the barriers they may face along the way. Thank you again for trusting us with this privileged task…for us it is a joy, and on events like Year 12 Retreat, it is an absolute hoot!!! We are continuing to work on our Building Learning Power program in classrooms. The diagram below shows the four areas of our ‘Building Learning Power’ program (Reach Out, Look Within, Think Clearly and Believe in Ourselves) which link in with our school motto ‘With Heart, Soul, Mind and Strength’. A number of learning actions which are associated with each area are listed around the outside of the circle. 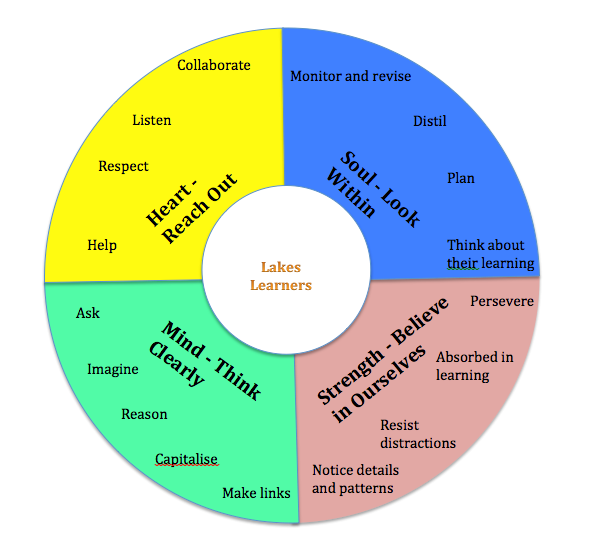 The Junior School utilises the learning framework of Lakes Grammar Habits to effectively integrate our Building Learning Power, Positive Behaviour for Learning and Virtues programs. Building Learning Power develops the capacity of students for learning, their curiosity, craftsmanship, creativity and collaboration. 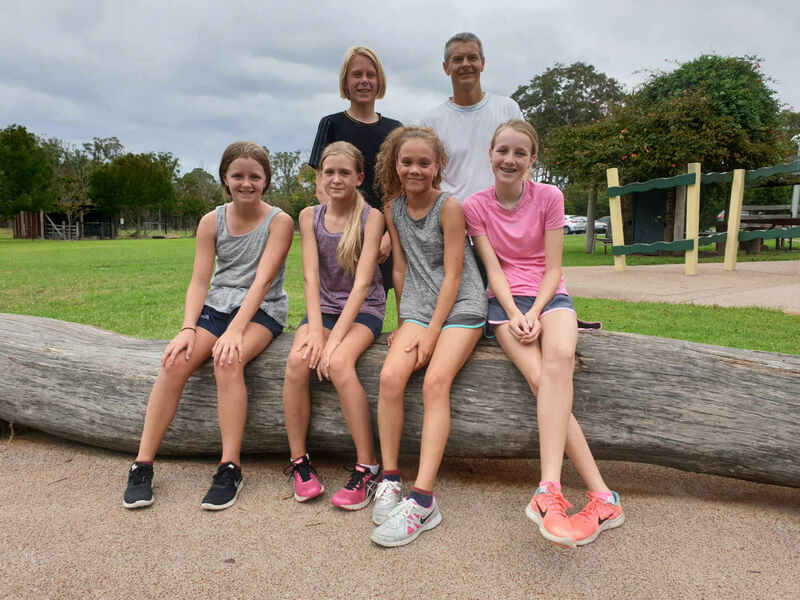 The Virtues program develops children’s Christian values, moral harmony and moral integrity, including kindness, honesty, trustworthiness, service, empathy and moral courage. Positive Behaviour for Learning develops our student self-regulation and self-awareness to demonstrate respect, responsibility and care for themselves and others. 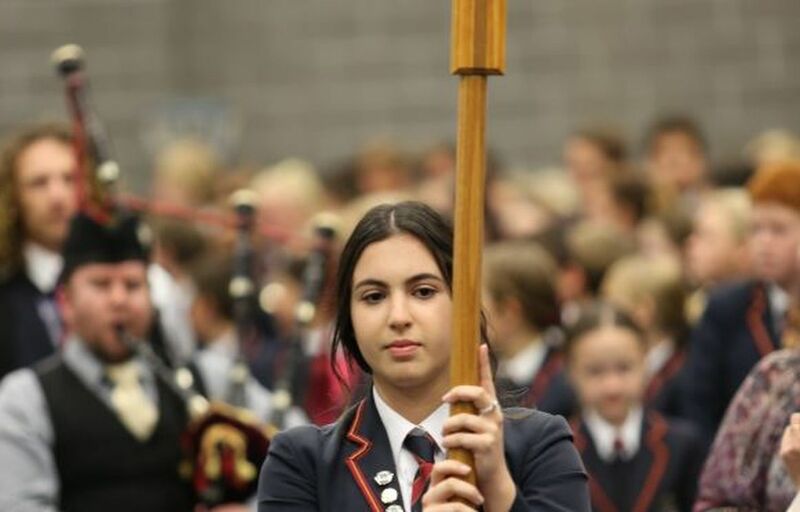 The Junior School collectively focuses on a Habit each week drawn from one of the three programs whilst concurrently working with students to develop a range of habits and capacities in the day-to-day life of the school. Patrick C, Matthew K, Willow T, Viktoria C, Hannah L, Elise C, Mackenzie A, Josie B, Alyse Q, Clare G, Zeb C, Maddison H.
Cooper D, Annie H, Rylan M, Jinuli S, Anakin R, August K, Sofia L, Lauren P, Dallas B, Isabella M, Zara T, Ty D.
It has been a pleasure to see the Student Representative Council for 2019 taking shape under Miss Ashley Bennet’s leadership. 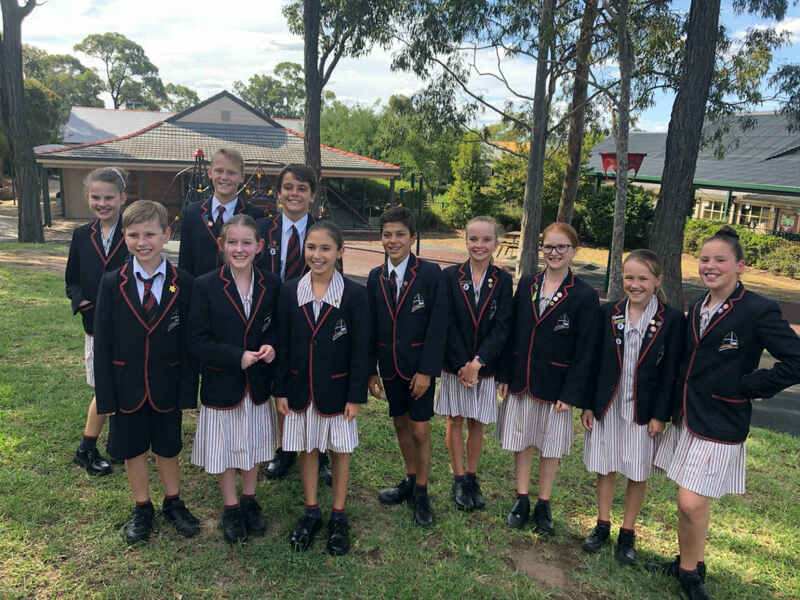 We have an enthusiastic and keen group of SRC Class Representatives from Year 6 in 2019 and look forward to them officially taking office and being presented with their badges at a special K - 6 Assembly shortly. The school has guidelines from the Asthma Foundation regarding the administering of asthma puffers to children during an asthma attack. We have been advised that each child should have their own puffer and spacer provided to the school for their own personal use. This is to minimise the spread of infection, particularly oral thrush, between children by using a spacer provided by the school. We ask that you please supply the school with an Asthma puffer and spacer in a plastic container labelled with your child’s name. The school keeps these stored in the school sick bag and they will not be used by anyone other than your child. Of course under extreme circumstances, we would need to use a disposable spacer from our first aid equipment, in the absence of a personal spacer being provided. I have enjoyed my Long Service Leave for the last 5 weeks and look forward to a wonderful and exciting learning year with students in the JS Library! Once again, students are invited to participate in the PRC 2019. 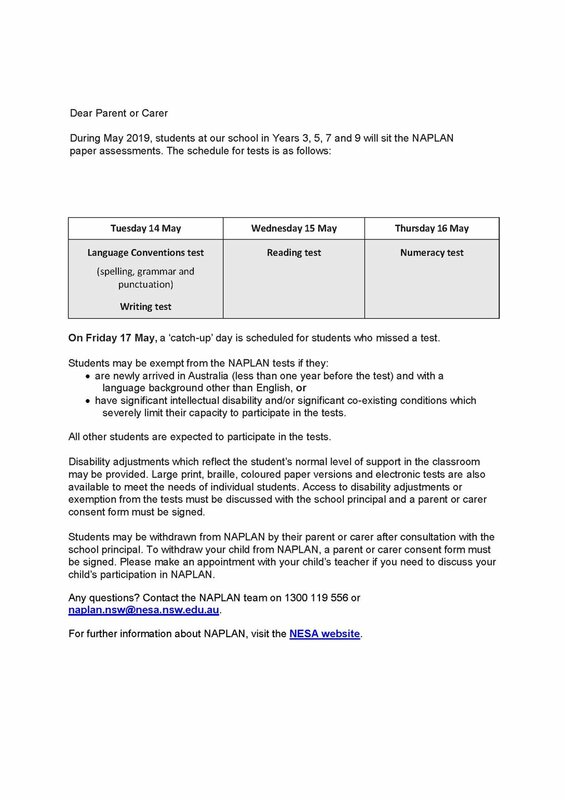 Notes and emails have now been sent out to all parents. Please return the registration form to the JS Library to get started. We currently have 110 students registered so far. A fantastic effort! This term, Kindergarten will be looking at classic picture books, including Nursery Rhymes. Years 1-4 will be learning about the JS Library and using skills to utilise it. Year 5 will be studying a sustainable unit on Rainforests and Year 6 / OC will be studying Aboriginal Rights (including Information Skills). At Lakes Grammar we value regular school attendance. Thank you to our parents for the support and value that you place on your child being at school on time each day. Regular school attendance plays a critical role in ensuring that every student has access to the same learning opportunities. 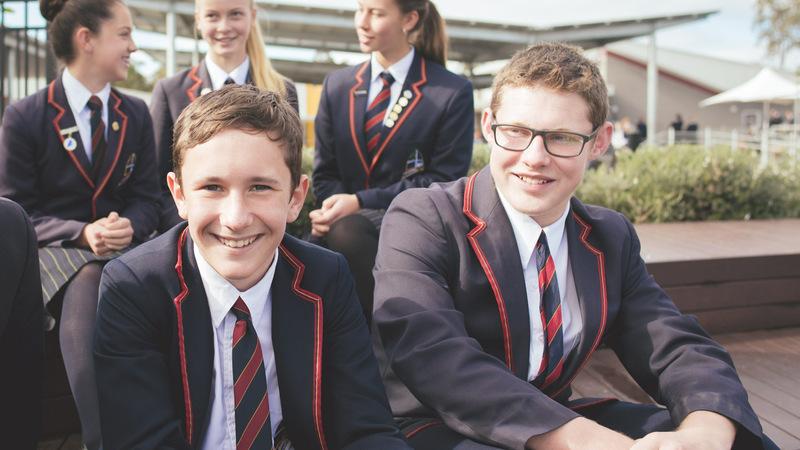 At Lakes we aim to have our school attendance rate at above 90%. Congratulations to Kindergarten, Year 2, Year 4, Year 5 and Year 6 in Week 4. Congratulations to Kindergarten, Year 1, Year 3 and Year 6 in Week 5. Phone the school and select option 1 to report an absence. The Skoolbag app to email an absence note. A printed or handwritten note sent to school via mail or with your child. Fill in a slip at the front office. Partial Absences are recorded for each child every time they are late to school or leave early from school. Partial Absences are recorded and they are logged when a child is signed in or out at the office. Partial Absence from school does add up to time away from learning, settling into routines of the day or saying goodbye at the end of the day. On Tuesday, 26 February we had our first round for HICES Debating. We have two Junior teams who both spoke very well and argued their points with determination and conviction. Both teams debated the topic ‘That we should implement a quota for indigenous athletes in the Olympics’. Lakes A debated in the affirmative and Lakes B was negative. Both teams had a successful debate against the Newcastle Grammar School teams. Lakes Grammar recognises the need to protect student’s skin and educate them about sun safety to reduce the risk of skin cancer. As part of our PDH program we provide ongoing education that promotes healthy lifestyles, and individual and collective responsibility for sun safety. From next week, all students will be expected to wear their school hats during recess and lunch in all areas of the playground, as well as during all sports and P.E. activities. This is a key component of our health education and is designed to help our students to develop good habits and sun safe behaviours. The support of parents and carers in ensuring hats are labelled, and in reminding students to pack their hats each day, is greatly appreciated in helping us to promote this sun safe practice and in caring for our students. Term 1 is already half-way gone and we have been using it to plan some great activities towards Wellbeing. 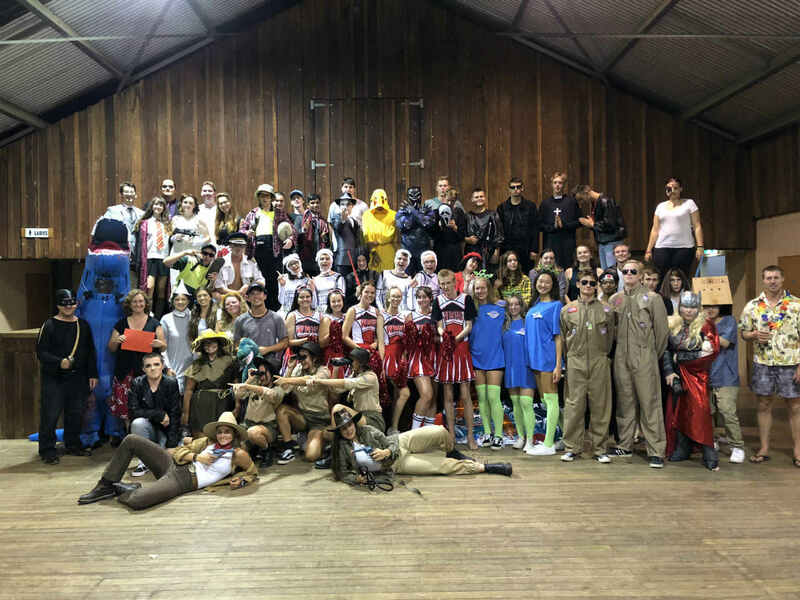 The first of our camps, the Year 12 Retreat, was held with great success at Riverwood Downs. 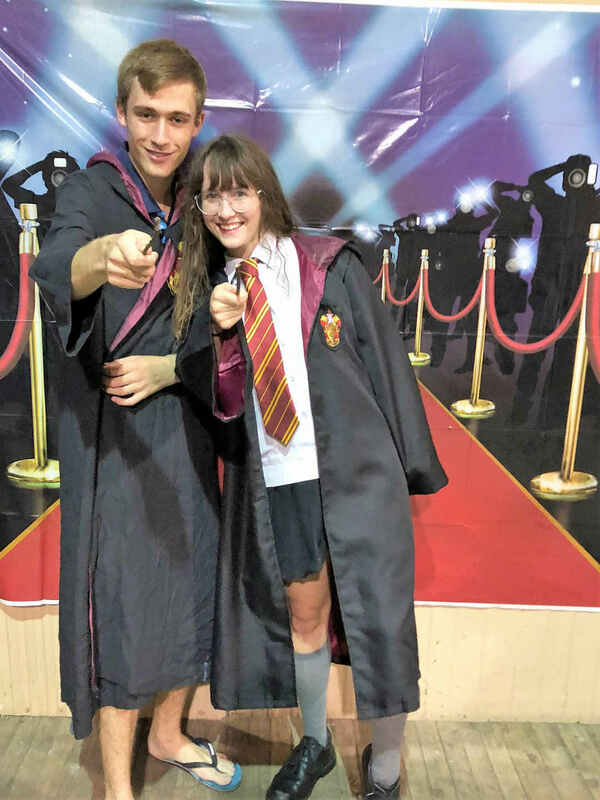 This has become a great tradition eagerly anticipated by our Year 12 cohorts and this year was certainly one to remember! 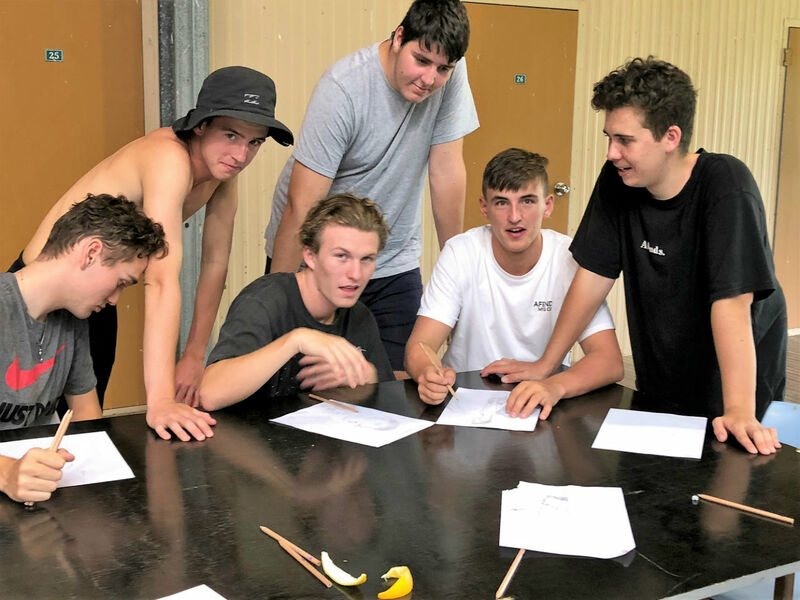 Creatively and mindfully led by our most humble Chaplain – our eldest students are given the opportunity to relax, reflect and share unique experiences with each other. Some pictures below of some of the aspects of Retreat. In contrast, our youngest students are about to head off to camp on Monday for a few days of outdoor team work activities. We wish Year 7 a great camp and time well spent together! Our school leadership team is busy planning some events to be announced soon and we will be participating in the National Day of Action against bullying and violence on Friday, 15 March. This will be facilitated by our MHAP team for both the Junior and Senior School with various activities. 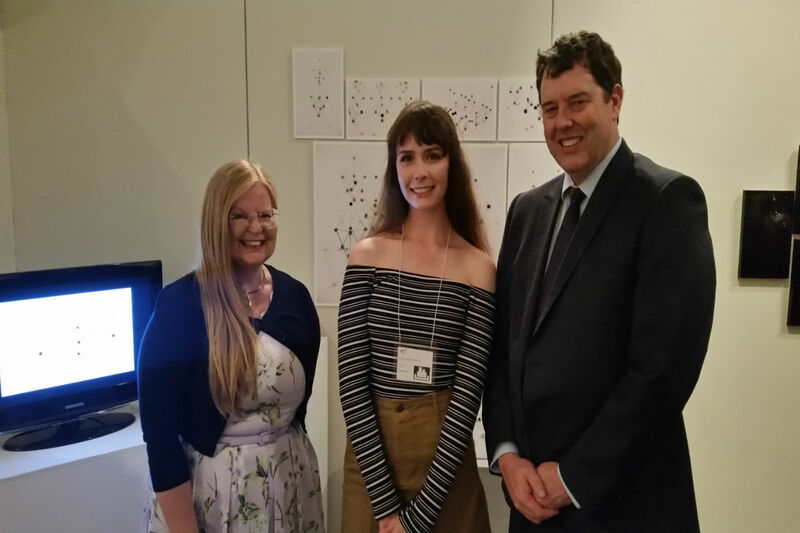 Chloe Heuchan (graduated student of 2018) proudly represented Lakes Grammar at the opening of ArtExpress, at the Armory Monday, 4 March. She joined students who scored the very highest results in Visual Arts across the state. Chloe is very excited to be part of the ArtExpress show and our school community is delighted with her success. ArtExpress is also on show at the Art Gallery of NSW and tours across the state. Her subtle, abstract sculptures, photos and video will remain on display in the Armory Exhibition only, for the next eight weeks. My ball and wire ‘skeletons’ of origami boats were influenced by a trip to Japan and my love of chemistry and molecular modelling kits. The repetitive process of cutting and straightening wire, and balancing clay balls into boats through hand-eye judgement, was a delicate and self-reflective period. 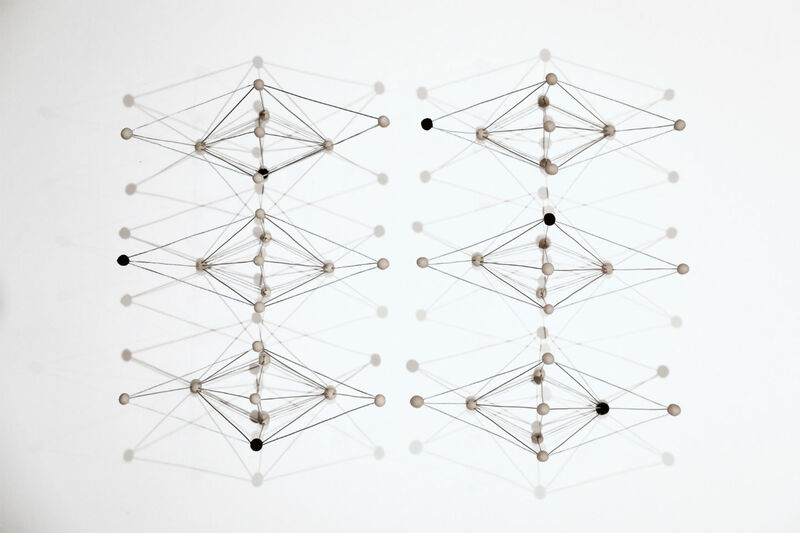 Collectively, they represent the delicate molecular structures within us. The movement and easy manipulation of shadows represent the human mind’s ability to be stretched and reformed at the will of others. The boats in lines are metaphors for these thoughts hitting us in waves, and the repetition of destructive and repetitive behaviours. My artmaking practice has been influenced by the study and interpretation of the following artists: Eva Rothschild, Aldo Tolino, David Moreno, Jean Metzinger. Years 3 – 6 School Sport has now commenced and all students have been allocated a sport. There were a number of sports to choose from both paid and free. Please contact Mr Cantor if you have any queries. 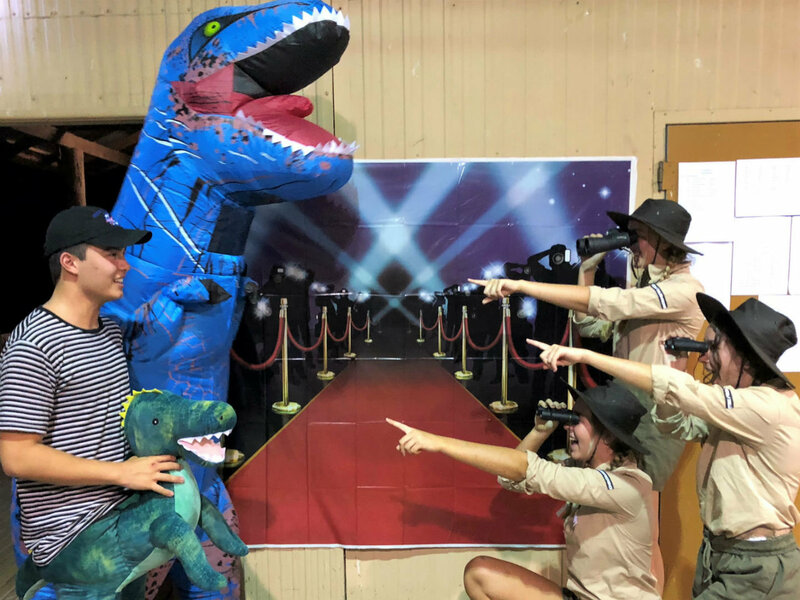 Congratulations to the following students who are representing Lakes at the upcoming HRIS Carnival at Lambton Pool: Max Adams, Ngalan Ah-See, Ethan Arneil, Cohen Baldwin, Emma Blackshaw, Marlon Buckland, Taj Buckland, Ella Burgess, Lucas Butcher, Aaliyah Currie, Hamilton Dobson, Matilda Fallon, Miranda Feller, Zara Feller, Kourtney Gardner, Morgan Jones, Addison Kowaliw, Emma Lamphee, Cooper Nicholls, Ben Ruzicka, Douglas Ruzicka, Hannah Ruzicka, Eddie Sawers, Joel Seol, Michelle Seol, Giselle Simon, Willow Stuart, Nelson Tsoa-Lee, Nate Waldon, Amber Wells, Ryan Wenger, Isla Yager. We wish them the best of luck. A more detailed report will be available in the next newsletter. 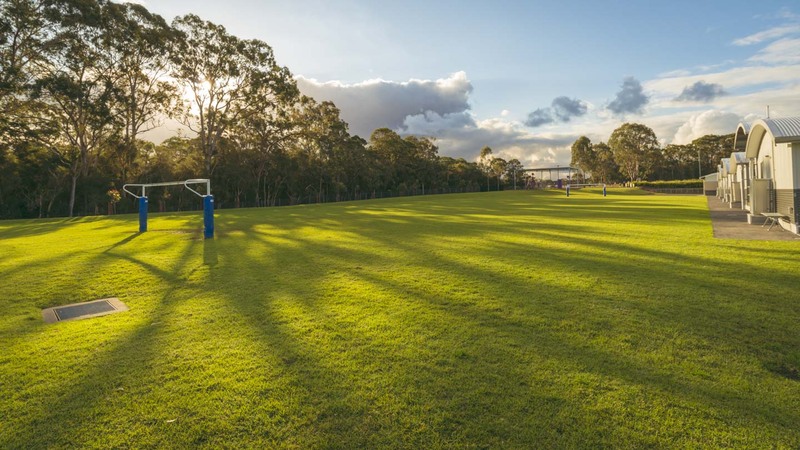 Well done to the following Year 5/6 students who recently attended the HRIS Boys Football trials in Cessnock last Monday: Eddie Sawers, Isaac Raica, Jake Freeman, Liam Macdonald, Mitchell Pernecker, Thomas Lamphee. Congratulations to Isaac Raica and Mitchell Pernecker who have made it to the second round next week. The following Year 5/6 girls will be trialling for the HRIS Girls Netball Team next Monday in Newcastle: Alyce Hokin, Carly Chapman, Ella Burgess, Hannah Ruzicka, Maddison Hayden. We wish these students the best of luck. Please note, if your child is selected for a HRIS team (such as X Country, swimming, etc. ), then they can purchase a polo HRIS shirt from the school. They are $33 each. Please see Mr Summers for more details. Lakes Grammar School Cross Country – Friday, 22 March. Congratulations to the following students for being selected in the school swim team to compete in the HRIS Swimming Championships on Wednesday, 13 March. Please ensure that notes are returned and please note that students must compete in race swim wear and a school swimming cap. It was great to see a number of students at Cross Country Training again last Thursday. I hope you are all keen to continue training again this week. Remember to bring some friends along and encourage parents to walk/run the track while group training is taking place. Cross-Country Training will continue on Thursdays and we would love to see you there. Meet at 3:55pm at Warnervale cricket nets. Both our boys and girls teams have been training in preparation for Round 1. Training is on Wednesday lunch times. Congratulations to Charlotte Akhurst who was our individual representative in the All Schools Triathlon Championships in Penrith last week. Amazingly this was Charlotte’s first triathlon, however, being a highly accomplished runner and swimmer her results show she has some talent in this sport. Charlotte said the biggest challenge was the bike ride and then transitioning all three sports together without a break. There were 55 competitors in Charlotte’s race and she finished 26th overall and 10th in the CIS division with an overall time of 1.20.35. The race is not an easy challenge, however, Charlotte managed to finish a 750m open water swim (13.54min), 20km cycle (46.40min) and a 5km run (20.00 mins). Year 7 Girls team entered a relay triathlon, including Ava Burgess, Kathryn Cook & Rihanna Gosselin. The girls finished in an overall time of 48mins which placed them in 62nd out of 134 teams and 27th in the CIS category. The event included a 400m swim (8.26min), 15km cycle (26.37mins) and a 3km run (12.56mins). The All Schools Triathlon Championship is open to all school students and is a wonderful goal for students who enjoy fitness challenges. There is always a few Olympians there watching the event, like local Brendan Sexton. A big thank you to the parents who drove to the event as it requires a 4.00am start, the race is held at the beautiful Sydney International Regatta Centre in Penrith. If any students are interested in triathlon please see Mrs King anytime and I’ll give you some advice on local event opportunities. Many students were interested in competing this year but the location proved a challenge. 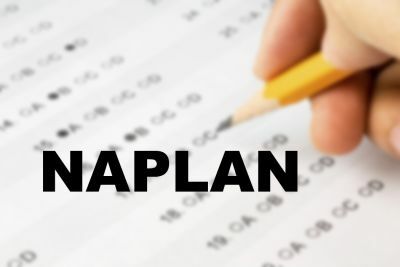 Therefore, if your child missed out this year on competing try and plan to compete in 2020. The dates and details will be released online late 2019 so you can plan ahead for training and travel.